Mapletree Industrial Trust’s 1QFY3/19 DPU of 3 Scts was in line with our estimate at 25% of our FY19 forecast. Singapore occupancy fell to 87.8% with lower occupancy at flatted factories, hi-tech and stake-up/ramp-up properties. Completion of Mapletree Sunview 1 and recent acquisition of 7 Tai Seng Drive for upgrading into a hi-tech property should extend income growth visibility. We maintain our ADD call with a slightly higher target price of S$2.13. Mapletree Industrial Trust’s 1QFY3/19 DPU of 3 Scts was 1.7% higher y-o-y, supported by revenue contribution from HP Phase 2, pre-termination compensation sum from HGST Singapore and JV contributions from its share of US data centre portfolio, partly offset by lower occupancies flatted factories, business parks and stack up/ramp up properties and higher interest expense as a result of increased borrowings. 1Q DPU was in line with our expectations, making up 25% of our FY19 and consensus forecast. Mapletree Industrial Trust’s overall portfolio occupancy fell to 88.3% in 1Q, dragged by lower occupancy at the Singapore portfolio at 87.8% (-1.8% pts q-o-q). Flatted factories, hi-tech buildings and stack-up/ramp-up properties reported lower take up during the quarter. US data centres reported unchanged occupancy of 97.4%. Flatted factories and business parks space saw negative rental reversion of -3-5.1% for renewal leases. We expect challenging rental performance in the near term as new supply is expected to drop off in 2019. The leasing rate for 30A Kallang Place is at 43.8% with another 20% under negotiation. Mapletree Sunview 1, a BTS data centre, received Temporary Occupation Permit on 13 Jul 2018 and contributions are expected to commence from Sep 18. The property is 100% leased for an initial lease term of 10 years with staggered rental escalations and renewal options. Mapletree Industrial Trust also acquired 7 Tai Seng Drive in Jun 18 and will be upgrading it into a hi-tech building, scheduled to complete by 2H19. The property is 100% committed by an established ICT company for an initial term of 25 years with annual rental escalations. 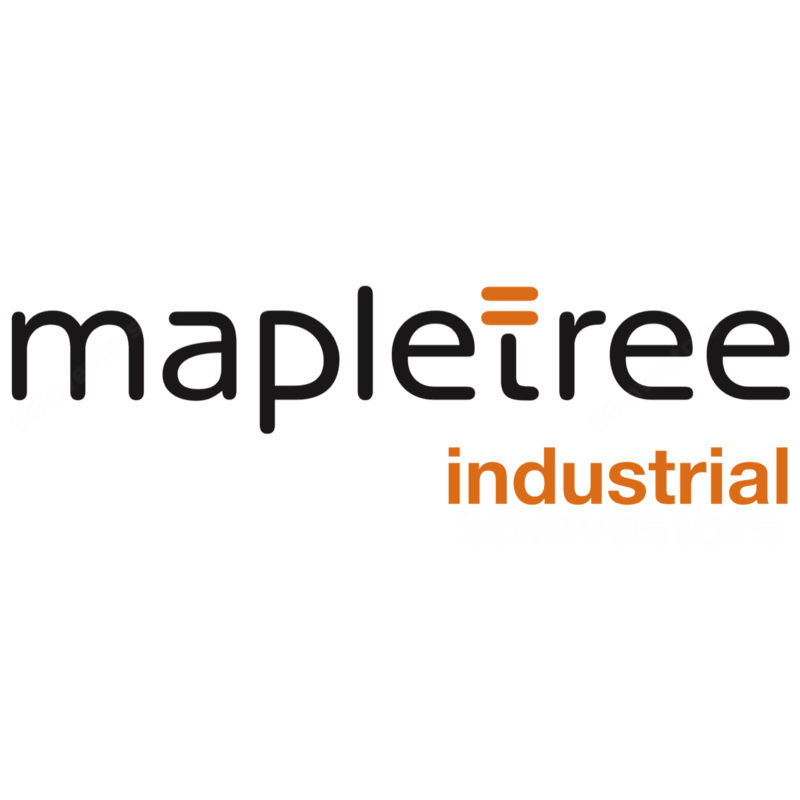 Mapletree Industrial Trust’s gearing has increased to 35% as at 1QFY19, with borrowing cost slightly higher q-o-q at 3%. About 78% of its borrowings are on fixed rates. It has S$225m of interest rate hedges expiring in 2HFY19. With a strong balance sheet, Mapletree Industrial Trust can continue to tap inorganic growth prospects. Its sponsor’s 18 Tai Seng remains an acquisition possibility (stabilise in mid-18) while it is also looking at more US data centres. We tweak our FY19-21 DPU estimates post results and factor in accretion from the planned upgrading of 7 Tai Seng Drive. Accordingly, our DDM-based Target Price is raised slightly to S$2.13. Projected DPU CAGR of c.5% in FY19-21 is backed by a full year’s contribution from US data centres, ramp-up of 30A Kallang Place and contributions from Mapletree Sunview 1. In addition, about 81% of its FY19 net US dollar income stream is hedged into Singapore dollar, thus giving good income visibility. Key risk is a faster than expected hike in interest rates which could affect funding costs.